Whether you’re having a plumbing emergency or you are looking to do a remodel or new installation, your trusted plumber in Webster NY has you covered. 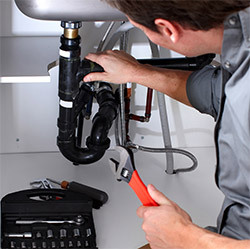 Our plumbers are highly trained and have vast experience dealing with all sorts of plumbing problems. Whether the job is big or small, urgent or planned, we can help take some of the stress off you and get everything in your house working just the way you want it to. Looking to remodel your kitchen or bathroom? Let us help with the plumbing side of things. We’ll listen to what you need and want, then come up with innovative solutions that will not only give you the look you’re going for, but will save you space, energy, and even money. We know that you want the very best in your home, and we will strive to get you that in a manner that is quick and easy for you. Maybe you just want to install one or two new fixtures right now. Let us help! We’ll look at your existing setup, talk to you about why you’re making the change, and help you find the pieces that will look good and function well for you and your family. We will treat your house as if it was our own, and you can always trust that your plumber in Webster NY has your best interests at heart. Whether your plumbing problem is ongoing or popped up suddenly and needs to be taken care of quickly, our plumbers are ready to help you. Give us a call. If the problem is urgent, we’ll send someone out as soon as possible and we’ll walk you through anything you might be able to do to mitigate the damage done before the plumber arrives. Otherwise, we’ll schedule a time for a plumber to come out that’s convenient for you. Our plumber will listen carefully to your description of the problem, examine your home, then come up with possible solutions to the issue. He or she will explain all of this to you and let you know about any decisions you need to make regarding how your home is fixed. Once you’ve made your choices and agreed to the repair, our plumbers will get to work. They’ll order any parts necessary or even make a trip to the hardware store to pick up what they need. Then, they’ll get back to your home and make the repair efficiently. We know that living with plumbing issues can be difficult, and we want to get everything back to normal as soon as we can, so your life gets back to normal, too. When you call a G.T. Campbell plumber, you can relax. The best plumber in Webster, NY is coming to take care of your home and your plumbing issue. We’ll work hard, get the job done as quickly as possible, and get out of your way so you can get back to your life.